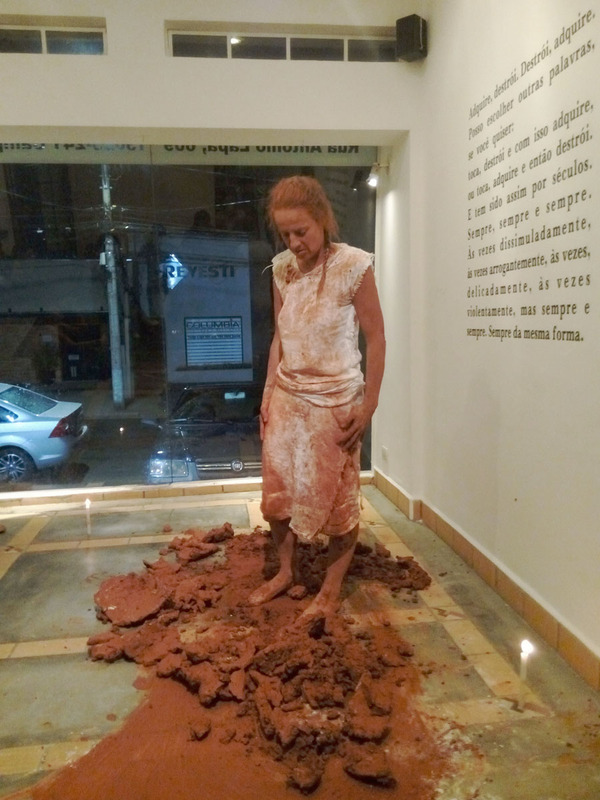 I collect the local red earth in the area around Campinas. 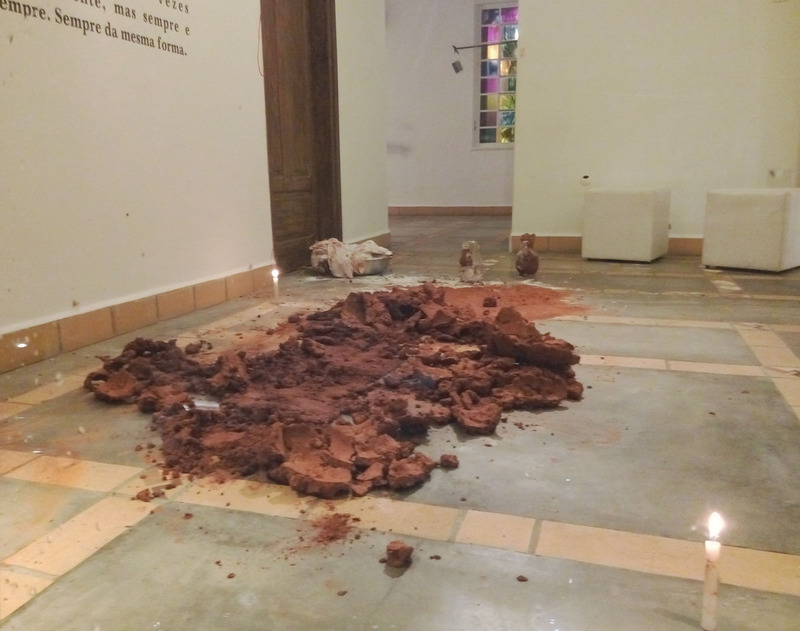 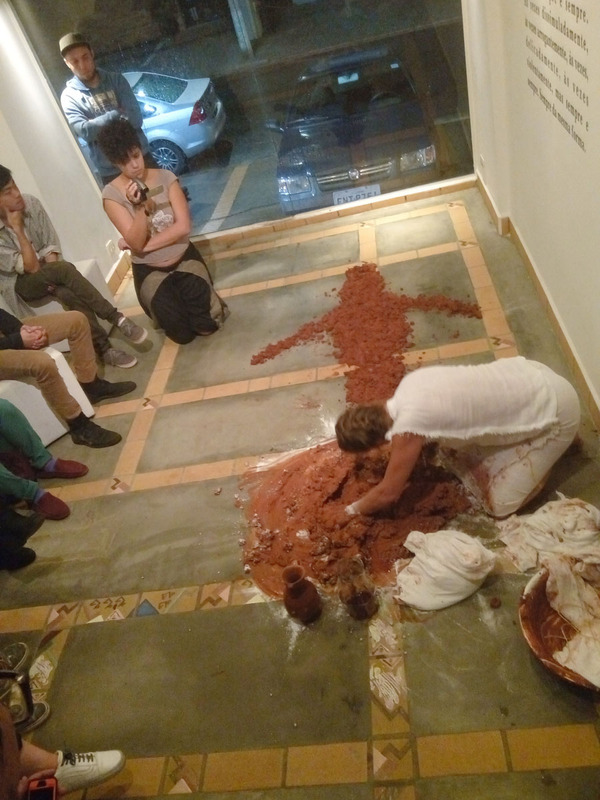 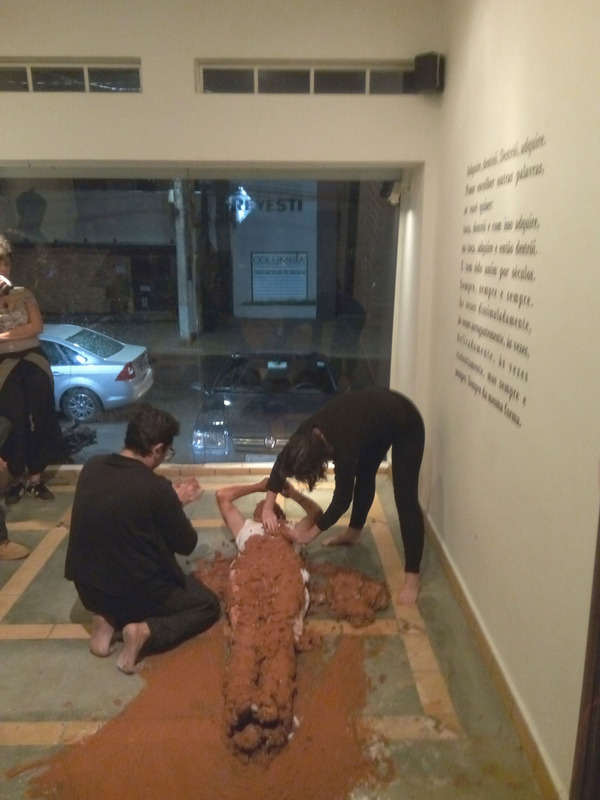 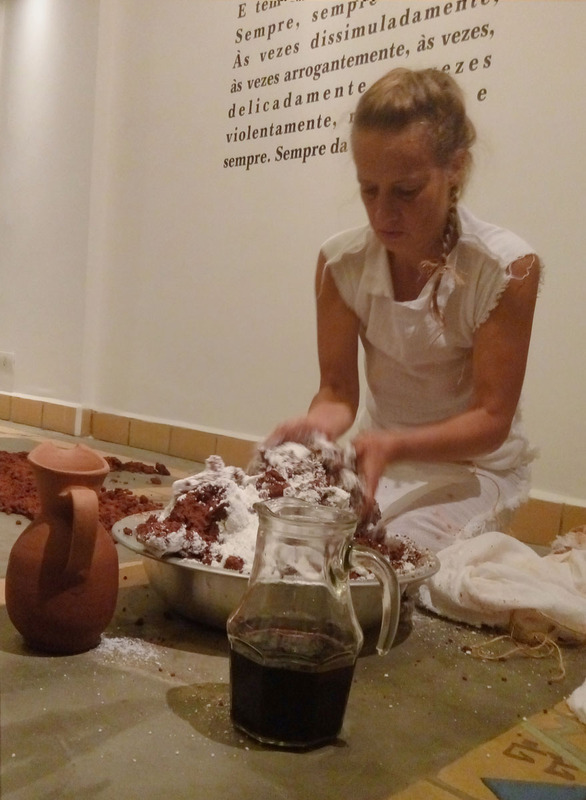 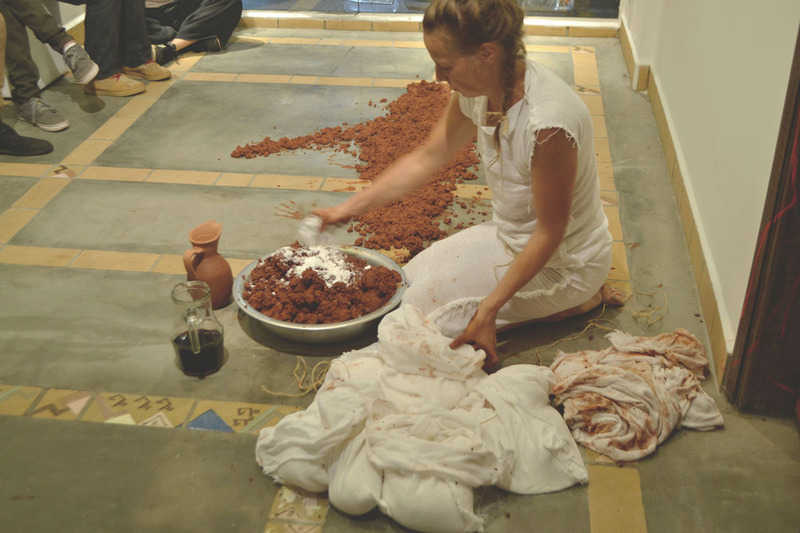 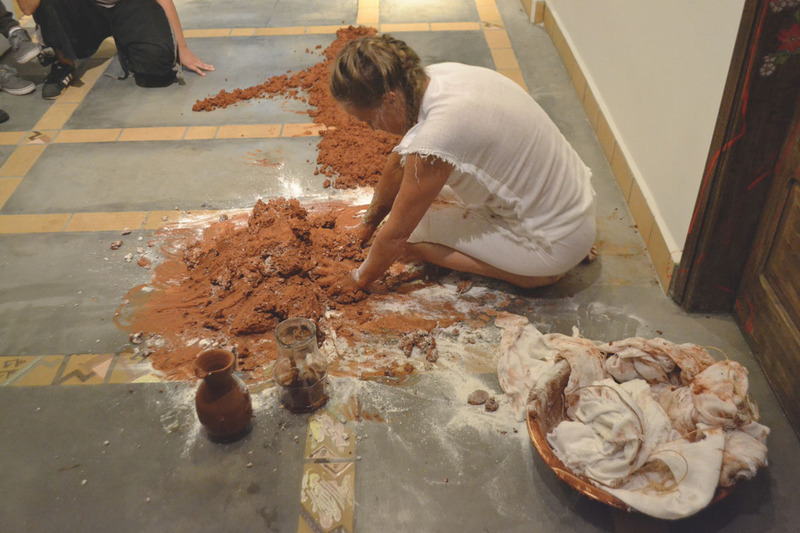 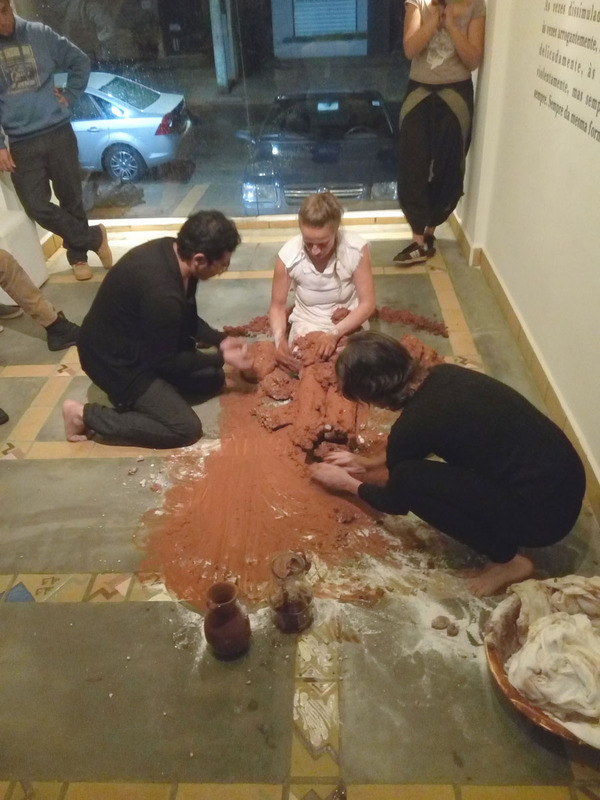 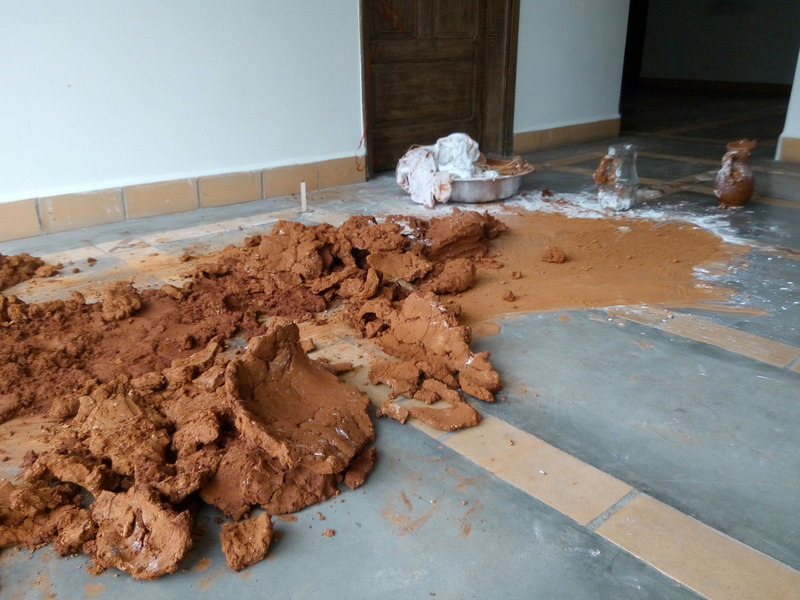 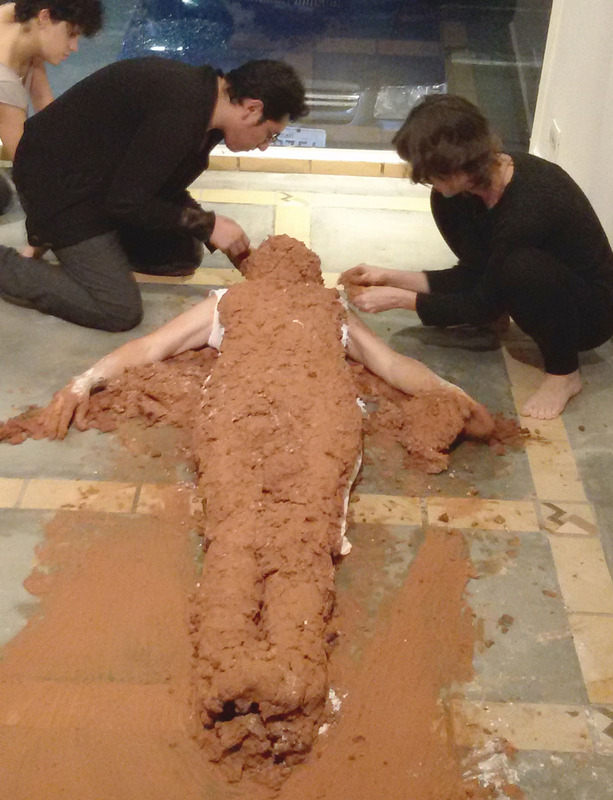 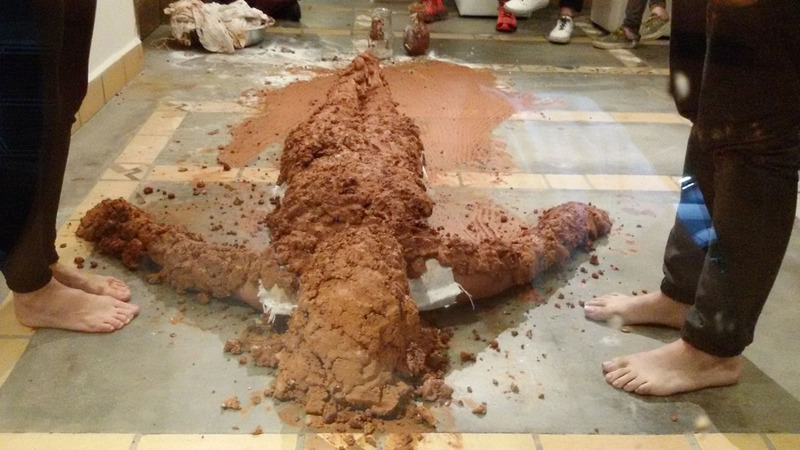 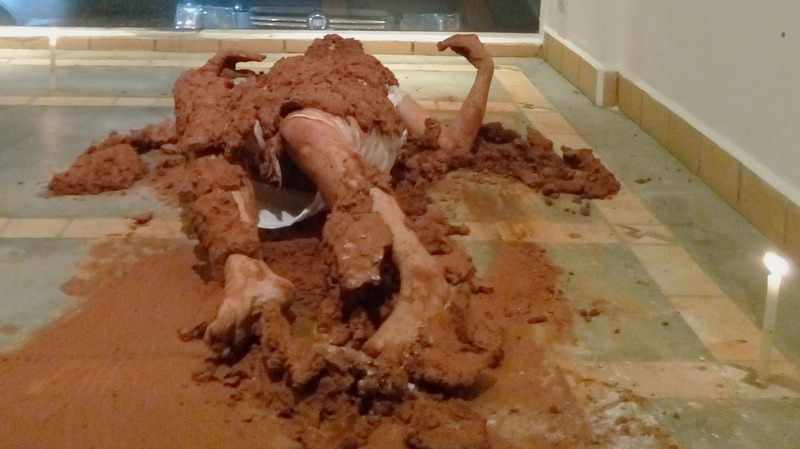 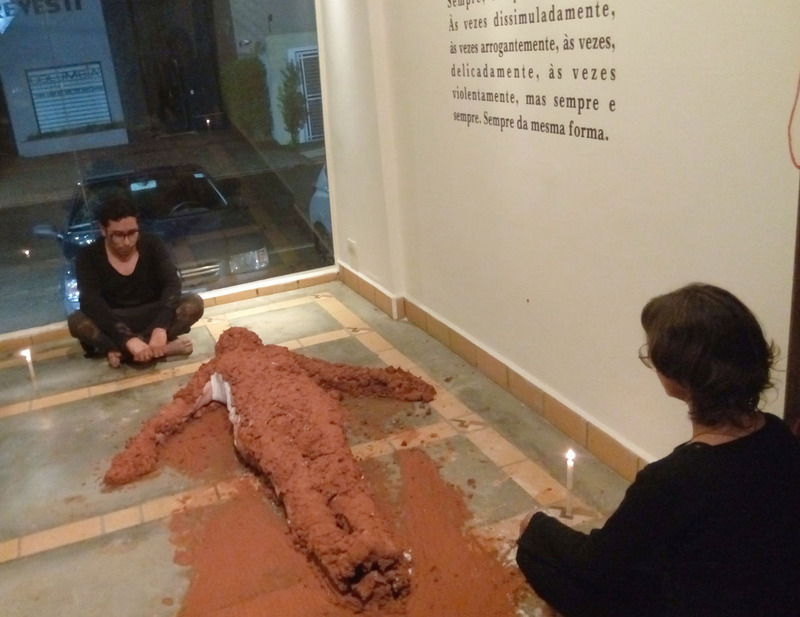 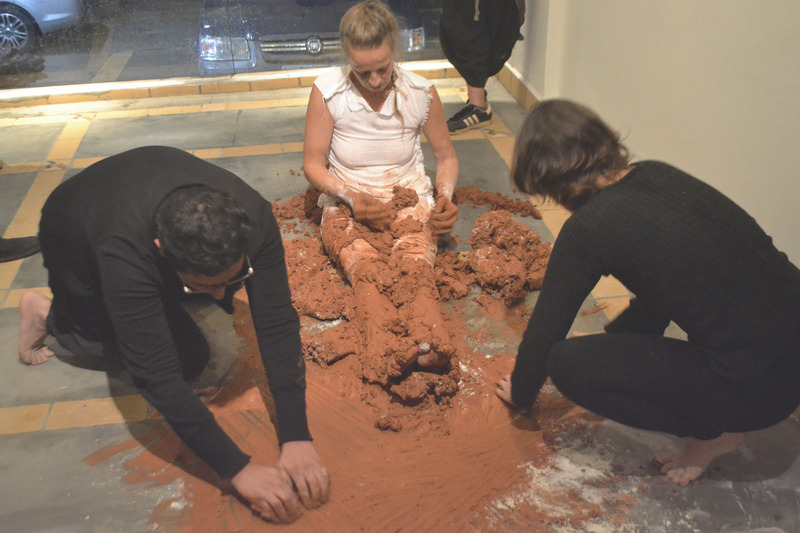 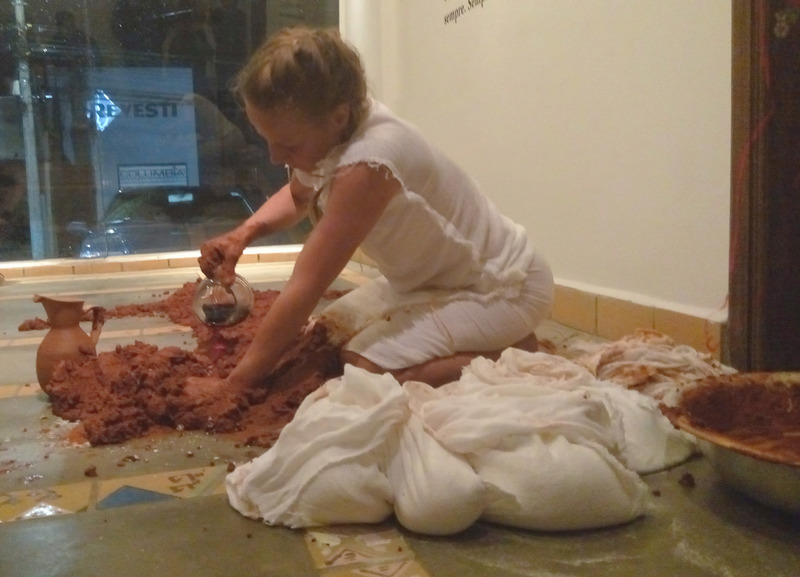 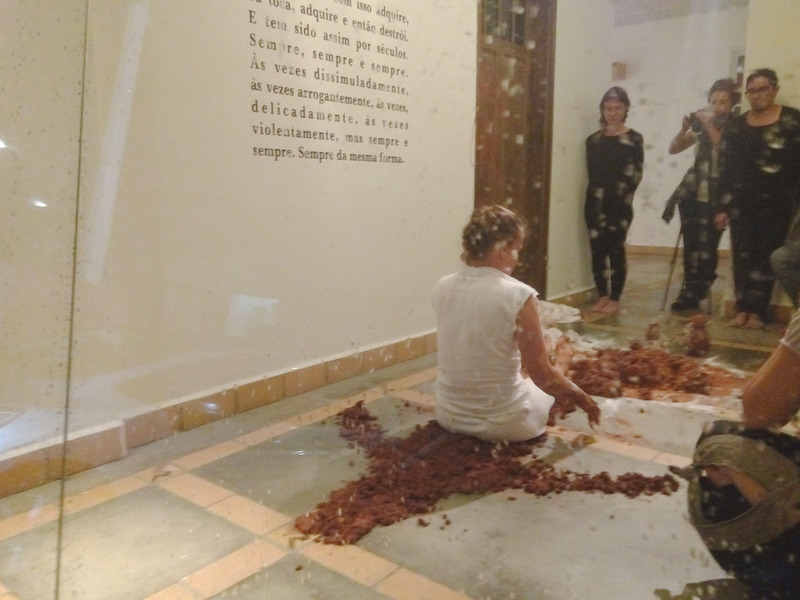 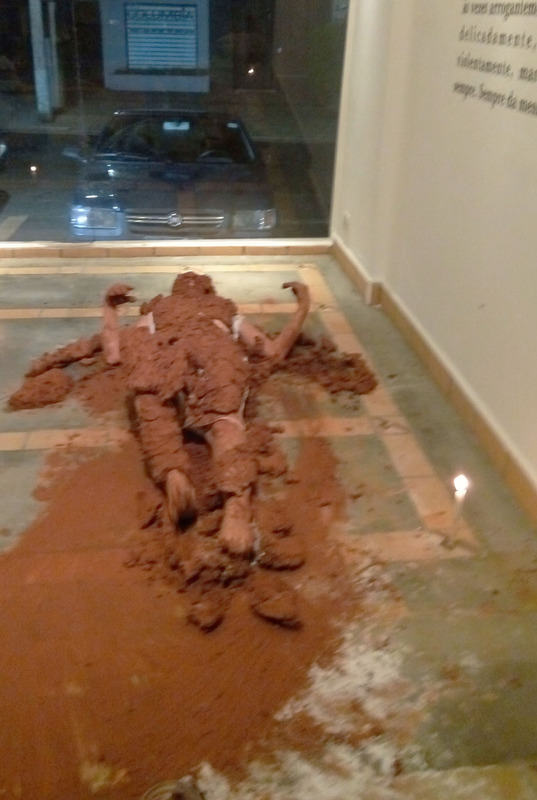 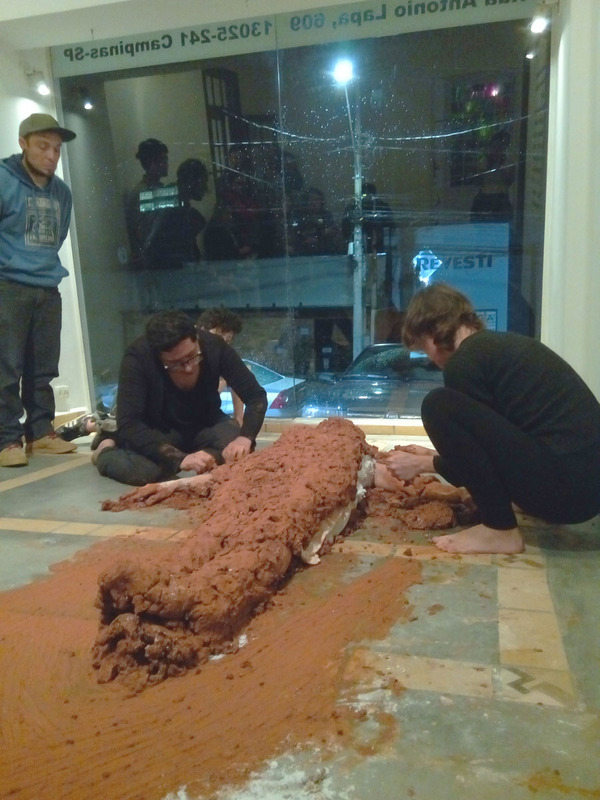 In the performance I mix the earth with tapioca and plaster, which are also local products. 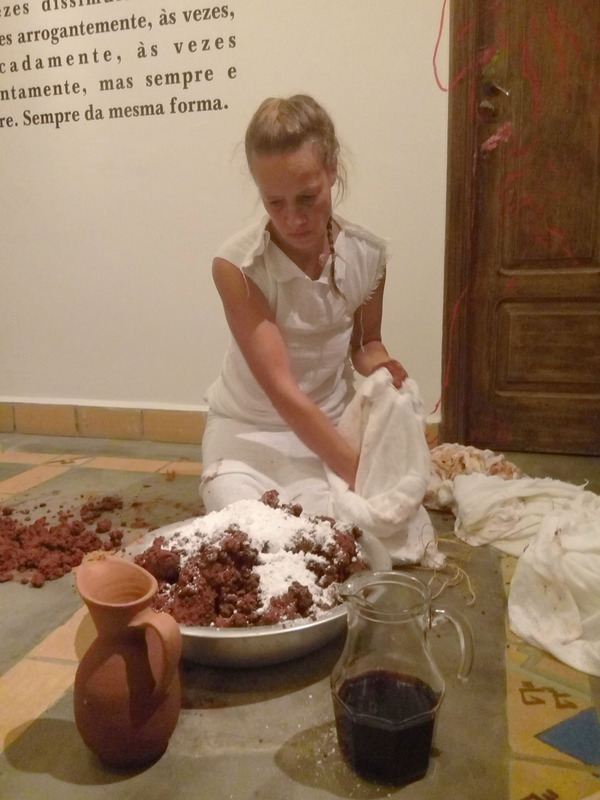 As fluids I add water and wine. 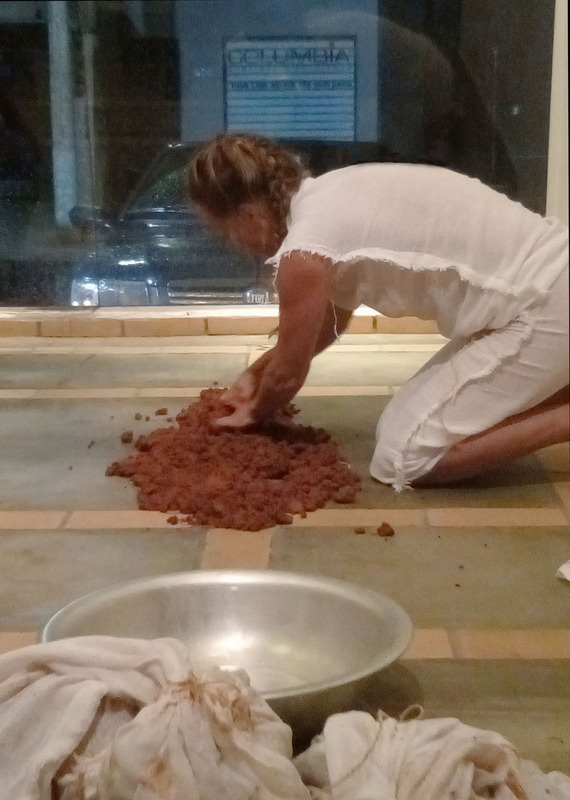 On the floor I prepare a body-shaped bed with the pure earth. 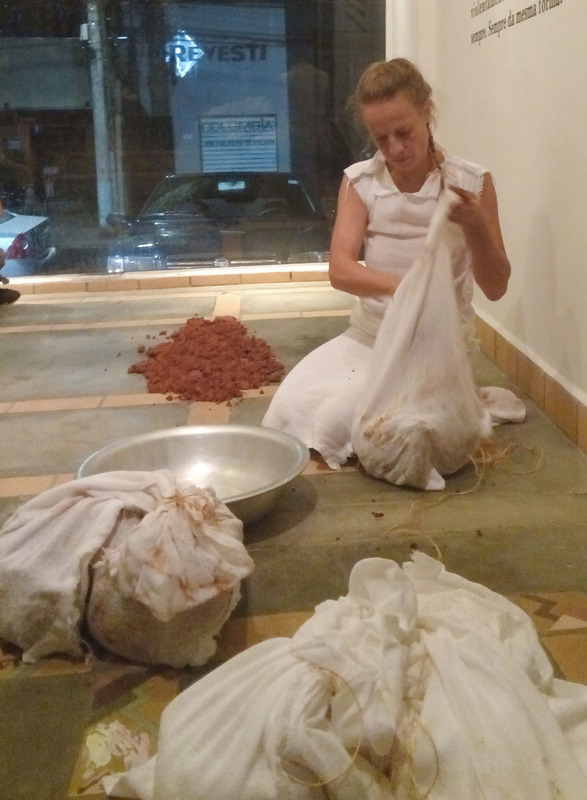 I lay down on the bed and cover myself with the prepared mixture with the help of two assistants. 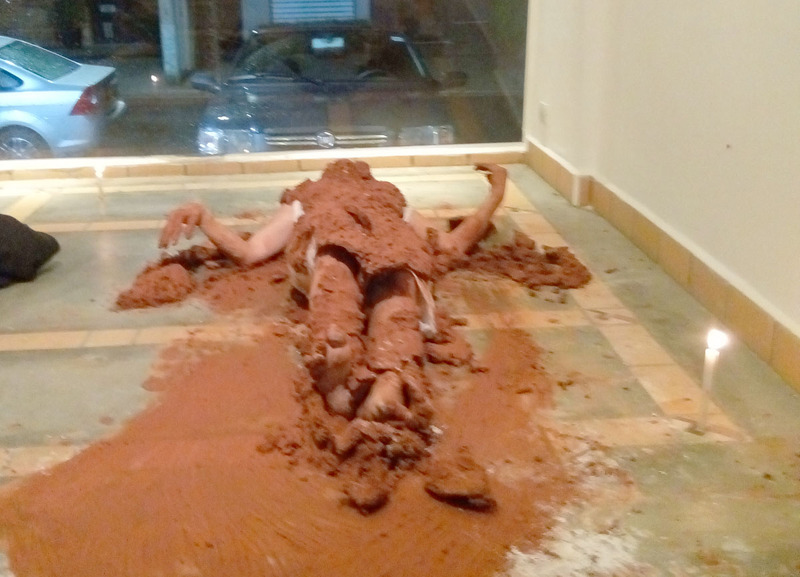 When I am fully covered, I lay still until the mixture is hardened. 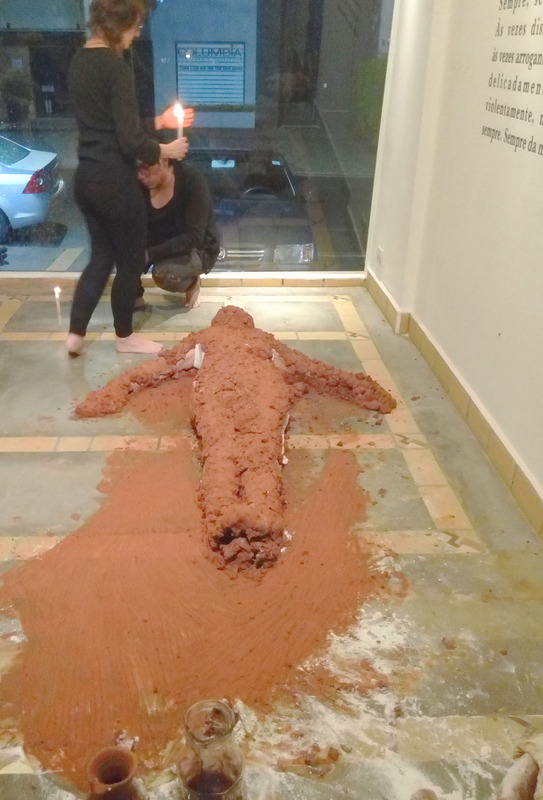 This takes a while. 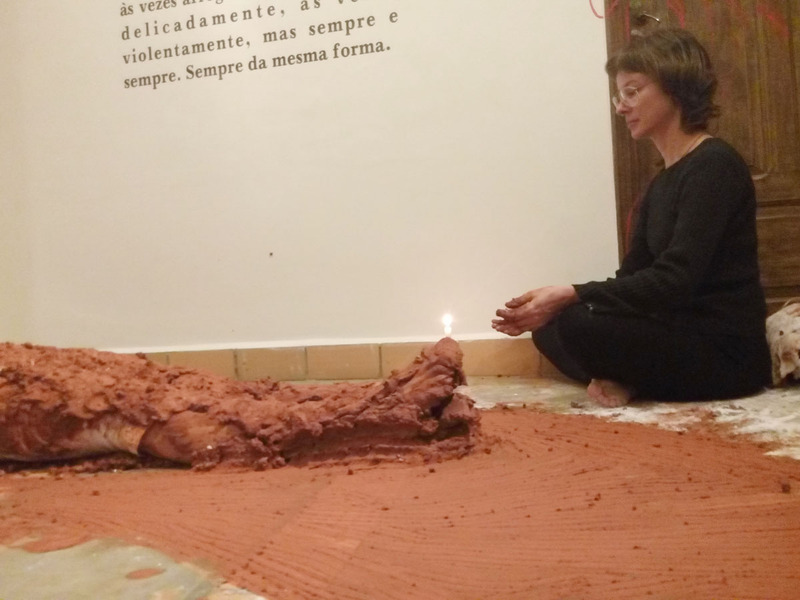 During this time two candles are lit to demonstrate the duration of time. 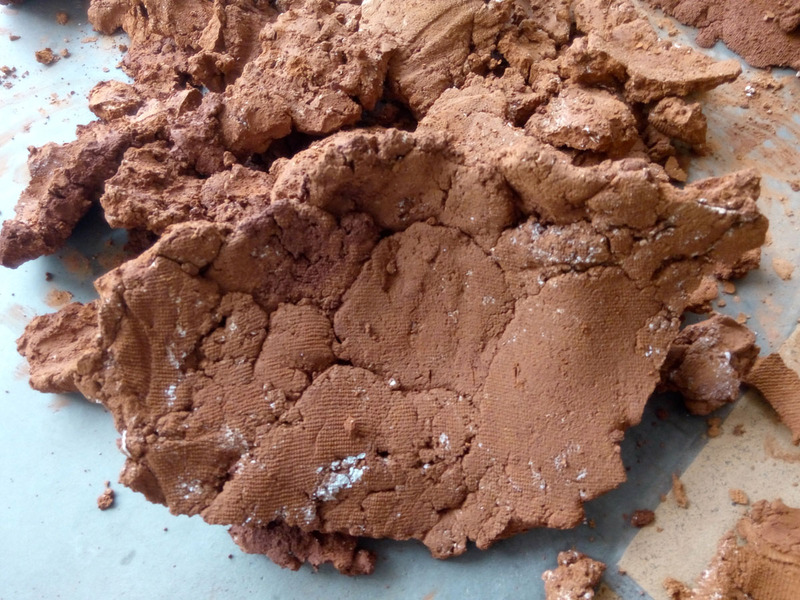 When the material has hardened it cracks first at my chest due to the breathing. 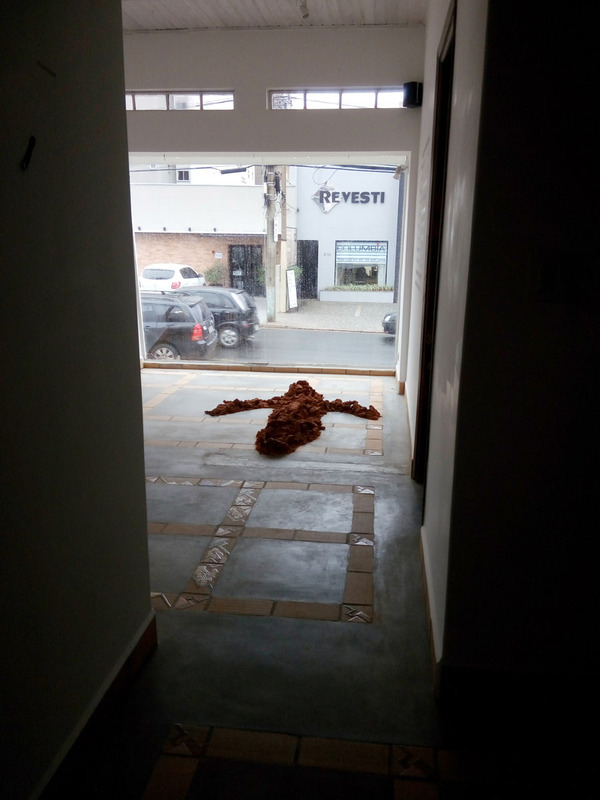 Then I slowly start to move and get up. 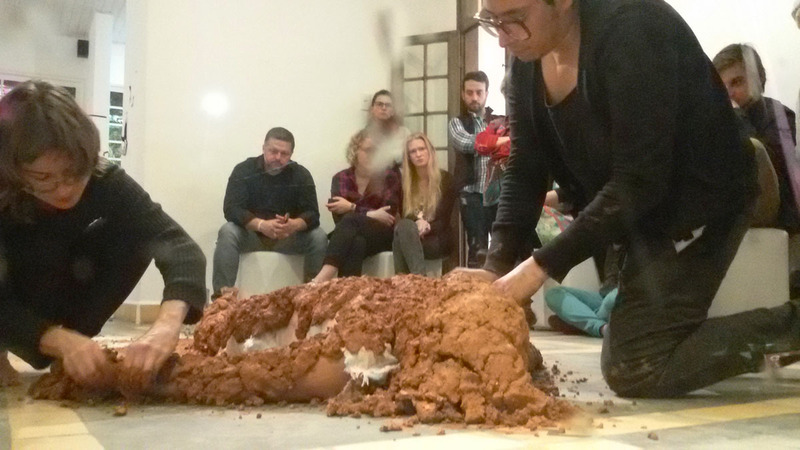 The earth’s mass crumbles and falls apart. 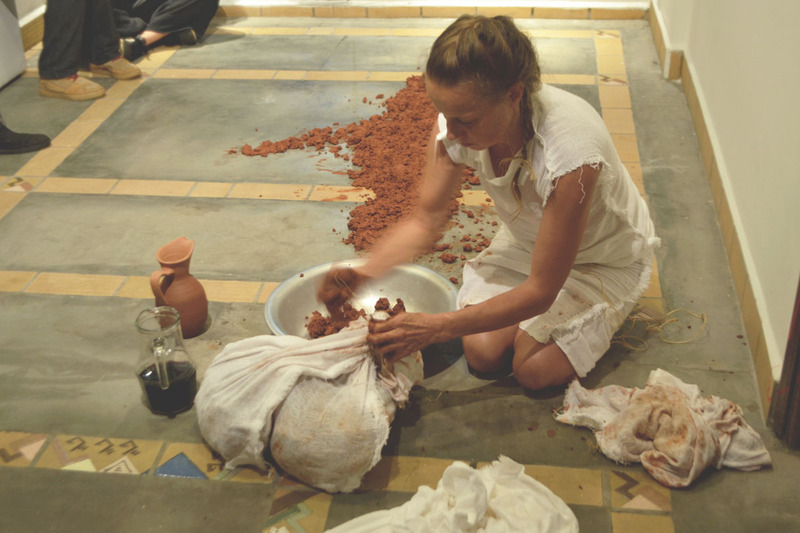 At my last performance in Africa -“Back to earth” - I buried the cover, which was constructed in the shape of a mask around my head. 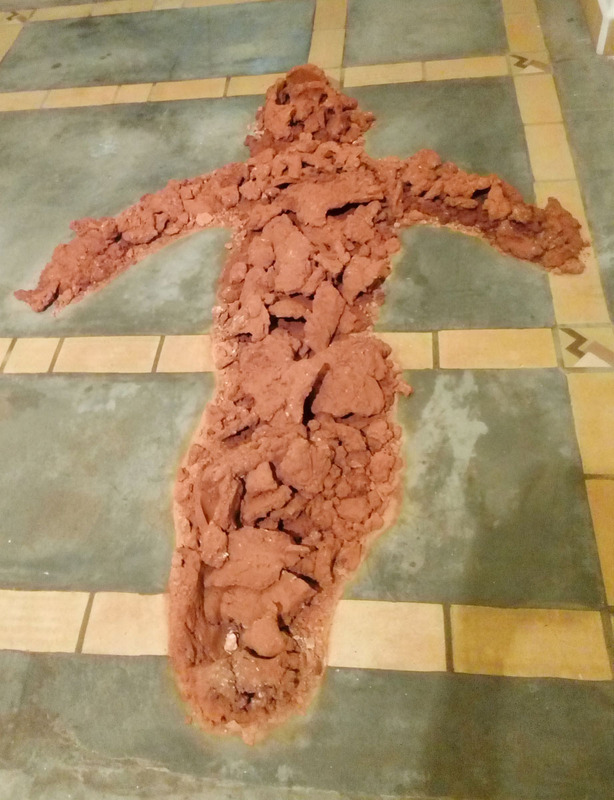 I united the human material with the earth. 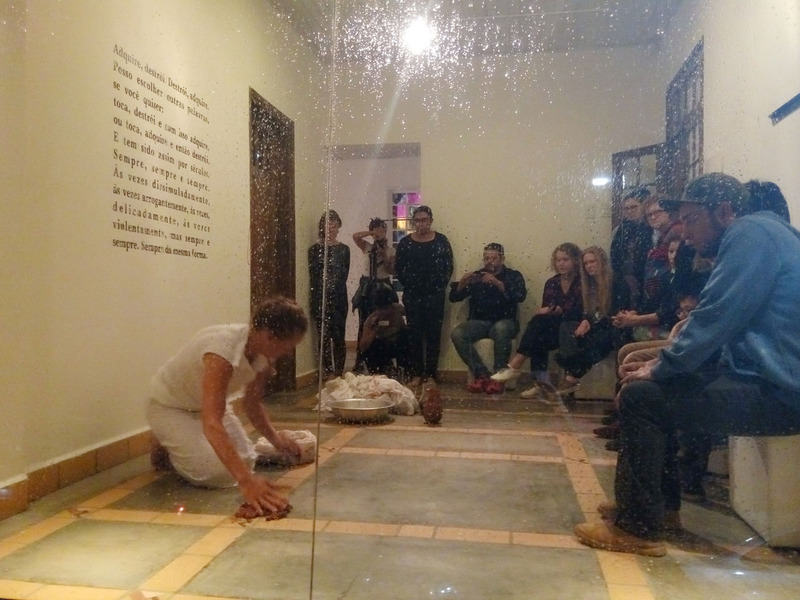 At the performance “Back from Earth”, on the continent of South America, where the Africans, the origin of mankind, were oppressed as slaves by white men, I separate the material of the earth and the body. 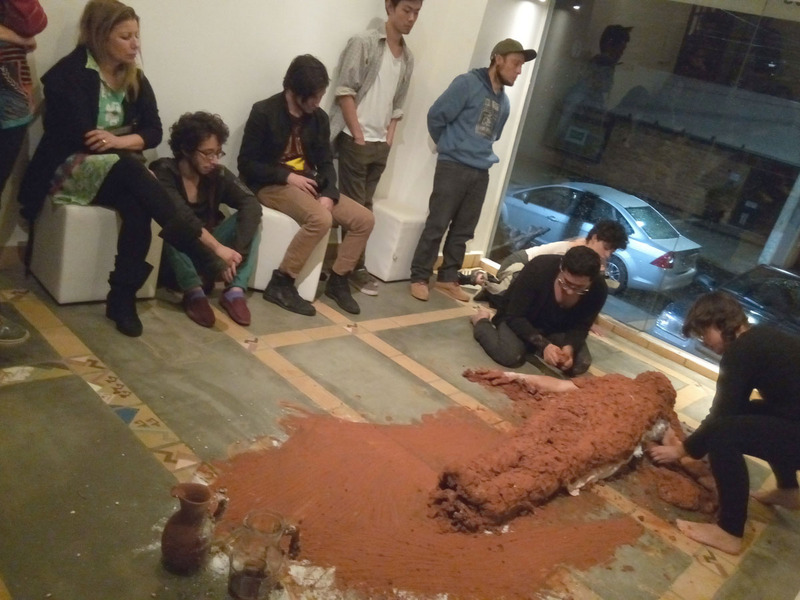 The main transformation takes place in a passive state, outwardly. 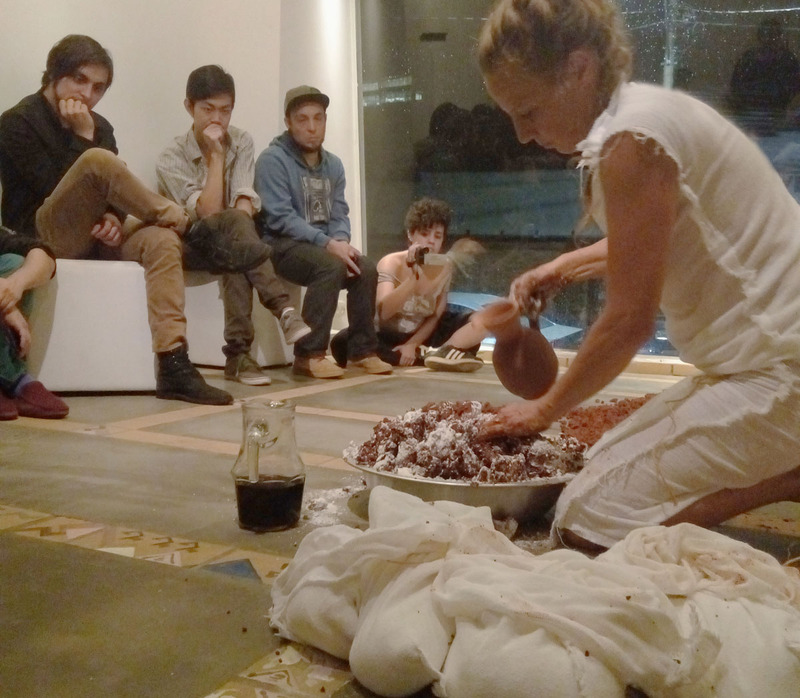 The long drying process shows how patient and contemplative we need to be, to do away with old beliefs and habits.